The illuminated forces of your known world are rapidly moving artifacts into positions. The illuminated forces which are presently anchoring various informational decrees into the consciousness of your being are rewriting the history of that which has occurred. For the truth of your vehicles past must come to the fore front of your being. The truth of your benevolent selves must anchor into the newly formed conscious grids of your creator selves. For the illuminated forces are indeed aware of the imminent changes rapidly unfolding themselves on your planet. And as such, much turbulence and many changes await those who dwell therein. Many changes of the illuminated ones shall occur. For the EGO structure of the illuminated ones shall once and for all disintegrate under the newly formed influence of the energies and the portals which have indeed opened to all who dwell on Gaia. From the vantage point of where we speak we have indeed witnessed the rising and the fall of the energies which have cleared space and cleared away all that was standing in the way to glorious accompaniment and glorious transition into another dimension. And so, the dimension of which you were all informed has indeed taken root in the consciousness of your full potential. In the consciousness of the full potential of your being. The present reality grids are indeed disintegrating and a new state of accords and the echelons of the past are being reinstituted into your consciousness. We wish to draw your attention to the moment at hand. We wish to draw you attention once more to your hearts. For through the hearts space of your benevolent selves you shall be able to understand and be able to feel the reality structure of your being. And as such, you are to pay attention to the news that you are being presented by tuning into the energies emanating from your hearts, in order to decipher the meaning and receive assurance as to the truthfulness of said messages. Utilizing discernment as is necessary before making any structural conclusions. For you hearts have indeed been attuned to the new frequency and attuned to new informational channels assisting you in testing various informational encodings against the backdrop of a newly acquired set of algorithms with which your hearts are able to decipher the truth and or deception that you are being presented with. And so, shall the information you receive not be in alignment with that which you are, you shall immediately be alerted to the fact that such informational decree does not fall into the new concept of being. For the new set of accords, the new set of universal laws which are indeed necessary to be fully ingrained in your new world are not in accord with the human rules of the past. And as such, we urge that each of you upon closer examination of such statements that you read, hear and see, understand and allow yourselves to activate the newly formed conscious grids within your very own selves. For indeed a new blueprint of your being has been instituted in many of your vehicles. For indeed with the new blueprint, a new path shall be set before you for your to take. For indeed you have all been delivered a new set of activities that are to occupy your present realities. What we are trying to say to you dearly beloveds is that indeed you have been infused with the new path for ach of your souls. For indeed in the coming of times you shall rediscover that which you are here to do. For you all shall be called upon to take a new direction in your lives, a new path, to begin a new unconditional realization of that which you are. To begin a new unconditional resolution of the past and leave that which no longer belongs on your path behind. And so you are being called upon by your higher selves, and through the turbulent times that lay ahead as humanity rediscovers its distant past, as humanity is finally presented with a variety of truthful facts which shall once again be put through the heart of the beholder, each of you shall spring forth and assist the newly formed consciousness grids in remaining activated, and feeding the grid system with the cosmic energies of unconditional love and light. For through your vessels of time and space, for through your vehicles and through your intentions you are merging and dissolving the past and are instituting a new reality structure into being. Brining with you the joy, love, laughter, unconditional love and understanding of all that which you are. And so, and thus, we must reiterate that the times ahead shall indeed be of turbulent nature, and so we ask that you not mistaken the turbulence of the coming times in a negative vibration, for the turbulence shall pass , opening up a much brighter layer of the core structure of being. And so, Know that all of you have been prepared well for the coming of times. Know that you all can and shall withstand the new energies coming your way. Know that you do have the support structure that you are all asking for. Know that a fleet of angels has indeed arrived at your shores. Know that a fleet of your benevolent galactic families are here to assist you in all that you are. Know that it is so. For it is. Personal Note: What I am being explained is that we are to expect many changes in the structure of our societies, social structure, financial, health, etc., as we move through and into a new era. And of course as is with all changes. Where there are changes there is turbulence as people get used to the new ideas and new way of life. Think back before computers were readily available at the panic that many people have experiences that their jobs would be taken away and that they would be replaced by machines. And look at us now, we are still here doing various jobs, but are in fact being assisted by the machines that most were so afraid of. If it weren’t for computers you wouldn’t be receiving this message now. Therefore it’s completely understandable that we are going to be going through various turbulent moments as more and more of new ideas are introduced through us by our higher selves. Please remember that we are the ones making decisions as to the changes, and whatever we desire on a mass scale occurs. Here we are once again being reminded to be mindful of the information that you read (including this message) you must put everything through your heart. 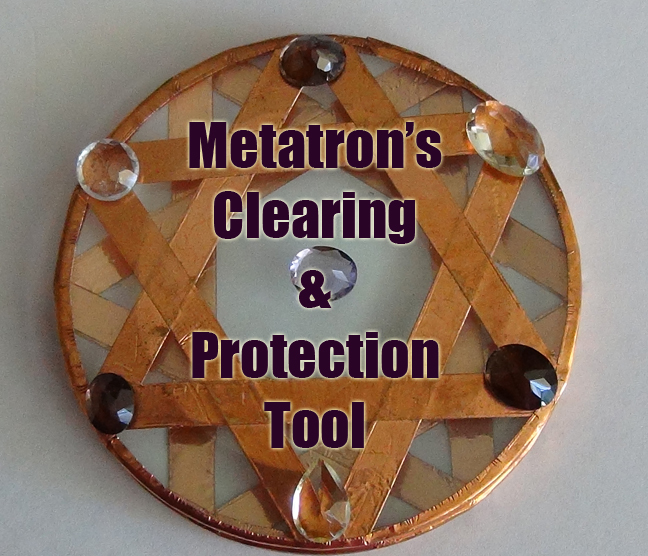 As many of you know we have completed a portal which has adjusted our hearts to a new frequency clearing everything out and connecting us to new “software” if you will. This has been done to most of those who were already at a particular point of ascension in their lives. Most others who were not at this stage of ascension development were not affected by the changes, as they are still “graduating” to various other levels. That is why there are so many portals. As there are still many upon many people who are asleep. I want to remind all of you that although to us this seems like yesterdays news, and we might get tired of constantly going through portals, or hearing that we have entered a new age whilst you may not notice much difference around you. If you truly do think about it you’ll see how fast everything is changing around you. Keep in mind that billions of people worldwide are still ASLEEP. And we still have so much work to do. So the more portals that we have come our way, the stronger we will become. Speaking of which another portal is coming our way on September 22nd. 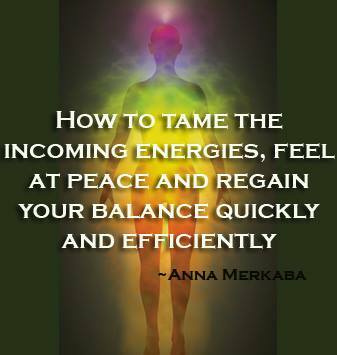 So take a deep breath enjoy the “downtime” as we are entering another energy gateway in just a few days. Once again, we are constantly in the NOW moment of time, however since our vehicles still reside in both dimensions and we are moving from one to another for our minds to understand, we are given timelines as to when such and such a portal will occur, in essence everything operates in a time continuum, where no time exists and everything occurs in the NOW moment of time. Once again I send you all the unending unconditional universal pure love and light. Stay grounded. Stay in the NOW. Find the joy within and shine your light! I love you all so very very much and am grateful to be a part of your journey here on earth! ‹ How to get through Ascension symptoms without going mad – A short guide to various remedies that you can use to re balance yourself instantly. I can say that my world has done a complete 360…and alot of tears,grieving, and time. Great Message and Great Personal Note. 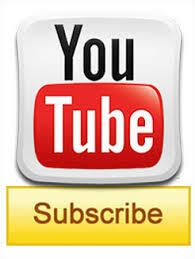 Gratitude and Love Arcturians and Dear Anna. And Endless Gratitude for being here with us in this journey. It gets sweeter by the day! Tack jag älskar er alla. Priest by my Masters Divine Calling..
What do you think Anna with how many people the planet will ascend with? As we see more than 99% are still under slumber and because free will is respected, they may not choose to leave their present 3D world . Truly brilliant AnnA as per usual!!!!!!!!!! Thank you for the lovely messages that you share. I have had so many energetic experiences, out of body/dream body experiences that are more “real” to me than this “reality”. I continue to become more sensitive to energy and have also had what seems to me to be “contact” via conscious awareness in the dream body, feeling my energy body shift, transform and travel. I feel like we are all definitely being upgraded, losing our density on the path to ascension. Some of my symptoms have been so extreme, and I understand how people can become fearful of all the changes. In my experience I have been completely rewired, sensing my guides what felt like cosmic acupuncture, hitting all meridians, as I lay there for hours just observing. So much shifting going on within us must also be happening in the external as well, because of the mirrors that we are. I have seen a “portal” , or ship that was flaming orange and went from triangular to diamond shape and then flashed and disappeared. After this sighting me and my son that night were visited via the dream body conscious awareness state and completely charged, with energy and could feel the presence of other beings. He was given sound , I heard crystals sing among seeing myself in the mirror after a complete white out buzzing electrical charge so intense, and say what looked like new channels tattooed on my body. I have been to familiar places another worlds and have been spoken to in my dreams as well as nightly fireworks, sightings, constellation star like lights in my room etc. I know I am going on about my experiences, because I am so happy to find others who I resonate with and who I feel speak the truth, and maybe my experience may shed light on someone else’s as well. Anna thank you so much. I look forward to your messages because I know they contain direction for me as well. Last night, as I entered what I call a “dream-state” (where I know that my body is asleep, but my mind is turned on, and I remember what I see), I was staring at the Milky Way. As I watched, the stars re-arranged themselves into a picture of the White Man of Uffington – a man standing, with a staff. The stars were all clustered around this images outline, and the “insides” of the image (the body of the man and his staff) was the depths of space, an incredible black/purple/blue colour, so rich and deep. As I was staring at this image in the sky, I heard a voice say “Remember Arcturis”. The voice was so beautiful and deep, very melodius. After this moment, I fell into a deep “sleep” – I remember nothing more, but I am certain that I voyaged somewhere. Can anybody help me figure this out? 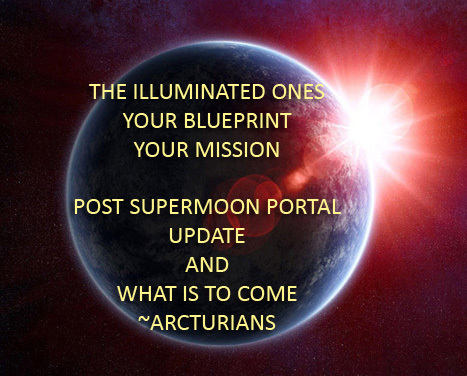 ~ARCTURIANS – The Illuminated Ones – Your Blueprint – Your Mission … and Update of what’s to come ~ | Miracles... happen.